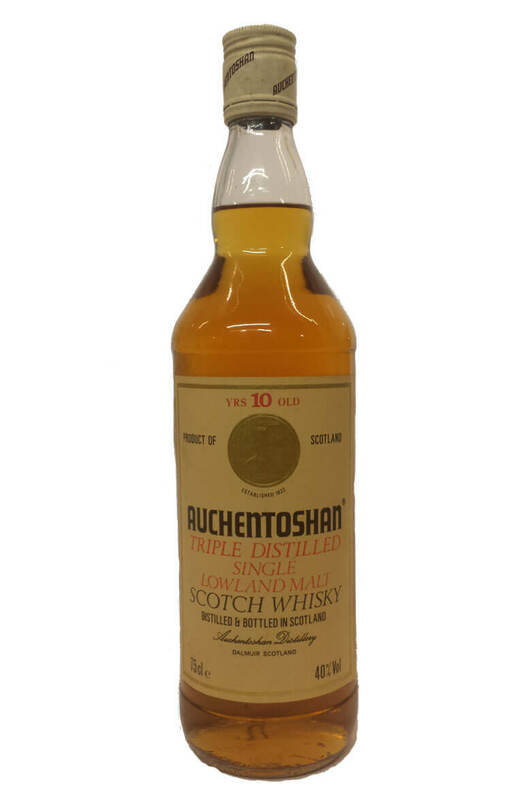 A rare 1980s bottling of Auchentoshan 10 year old. Triple distilled single malt, aged in oak casks. Auchentoshan is a Lowland distillery. A limited edition single cask malt from Auchentoshan. This has been aged entirely in oloroso sherry ..